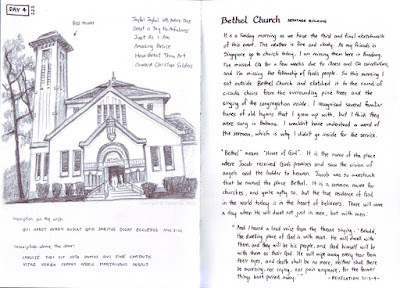 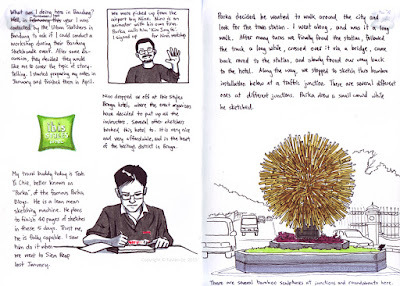 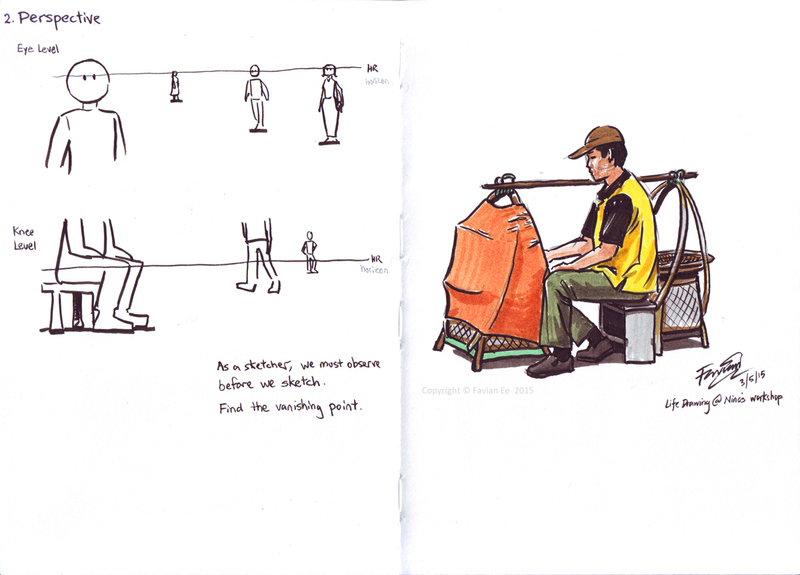 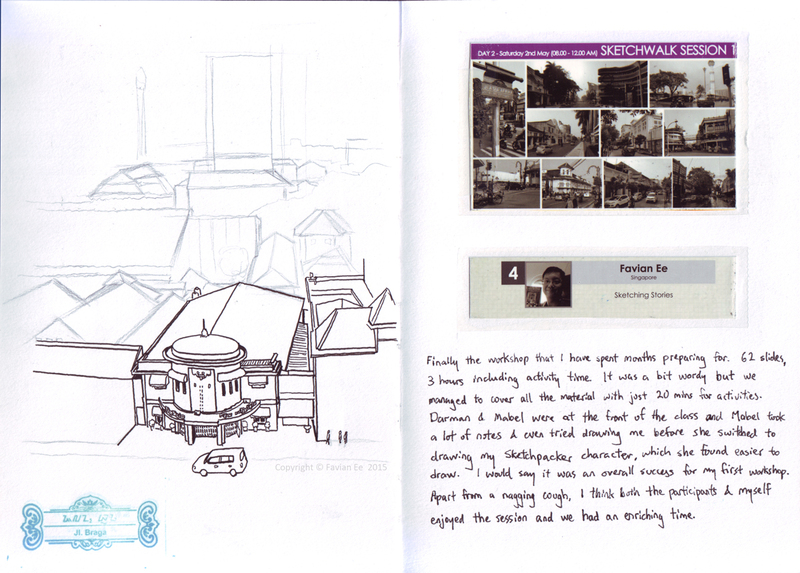 In May 2015, I was invited to a sketching event in Bandung, Indonesia, to give a workshop on storytelling. 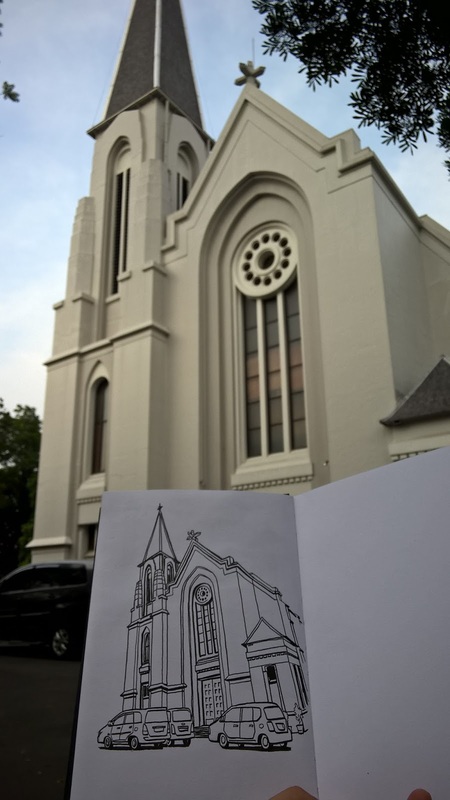 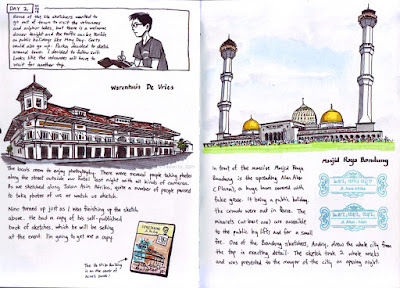 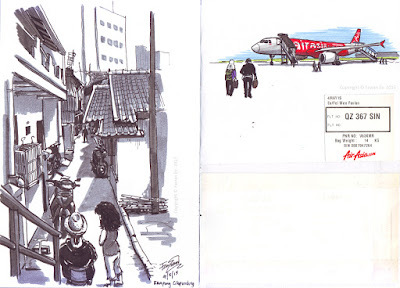 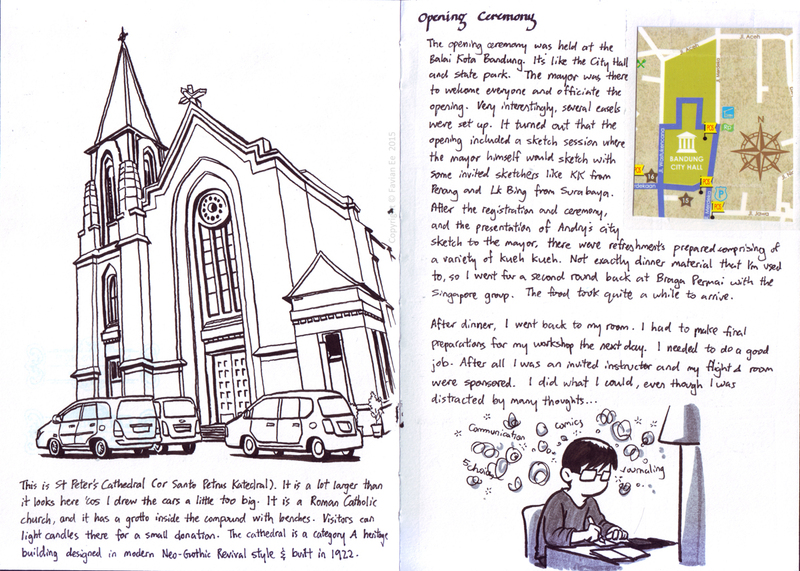 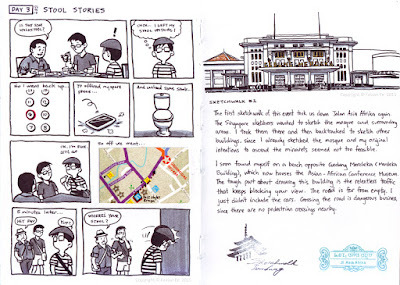 Our fellow sketchers from Indonesia probably got interested after seeing my sketch journal of Sketching George Town 2 the year before, and thought it would be a good idea to have a workshop which combined urban sketching with visual storytelling. I was happy to do it, especially since I've never been to Bandung. 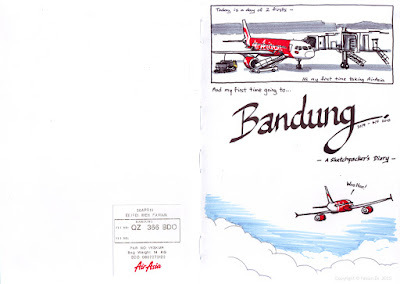 Bandung is located in the mountains of West Java. 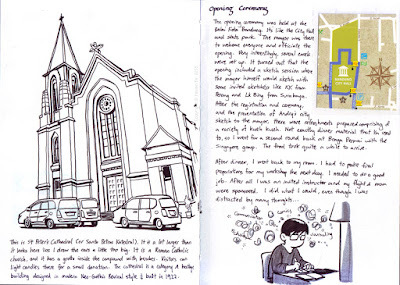 It can get pretty sunny, but I found the weather less humid and hot than Singapore's. It rained a little while I was there, and I was recovering from a bad cough and cold. 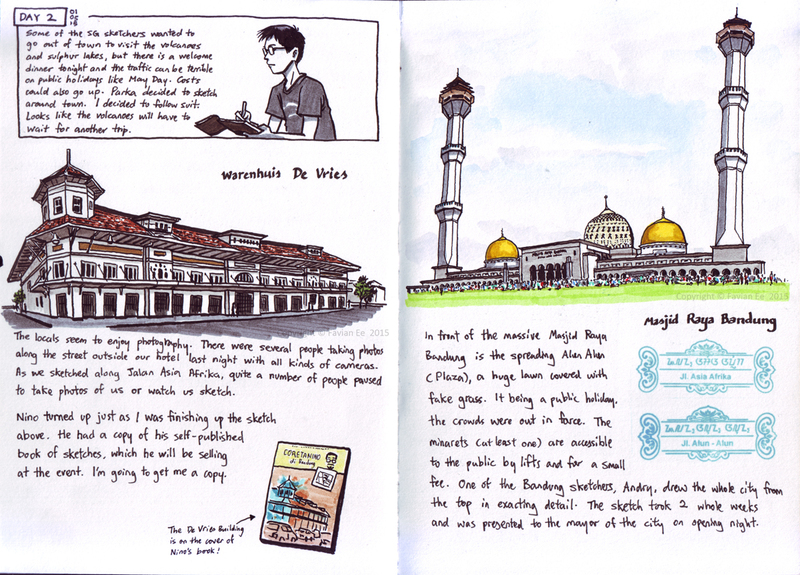 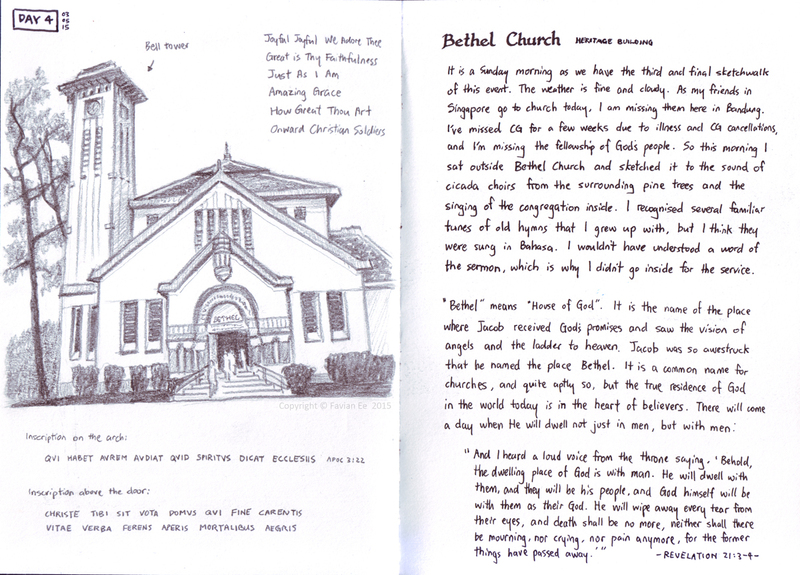 Nevertheless, traveling with a bunch of Urban Sketcher friends and others from around the region was an opportunity not to be missed. 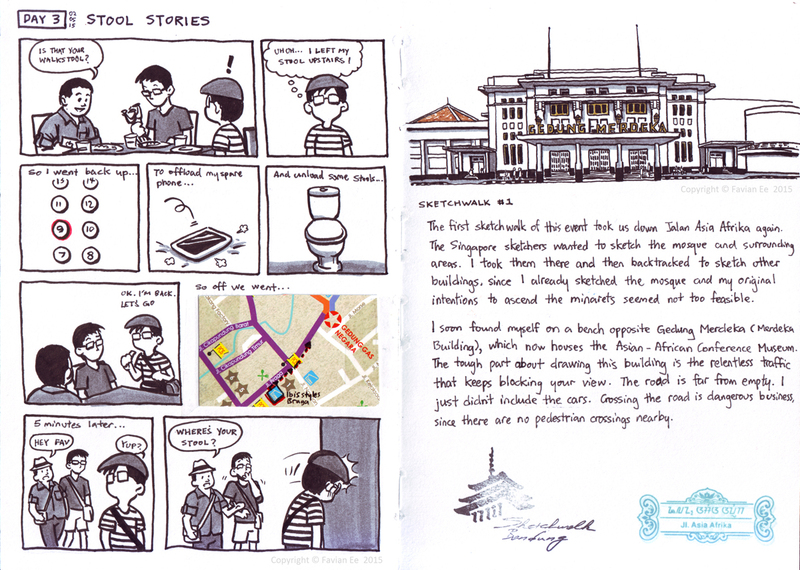 Here are the sketches from my trip with a handful of photos. Sketching Stories workshop with Favian Ee! Rob's magic - in real pen and ink! 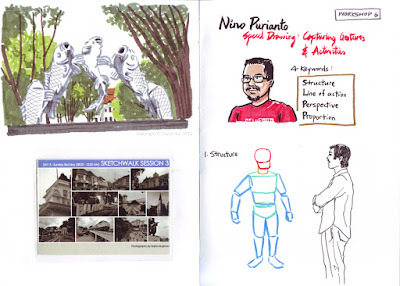 Here's a blog post about the preps for my workshop.